Want to make money off your new blog? Yes, you can. Blogging is a great way to earn money online. It is fun but not easy, so you deserve a reward for your hard work. Why not make money from blogging? My post normally contains affiliate links. I may get a small commission when you decide to buy using my affiliate links. Please note that I only recommend products and services that I use and trust. New bloggers should not wait until their blog is perfect to monetize it. You can get accepted with an affiliate program even with small followers. One of the best way to earn from your blog is with affiliate marketing. Most bloggers majority of blog income are coming from affiliate sales. 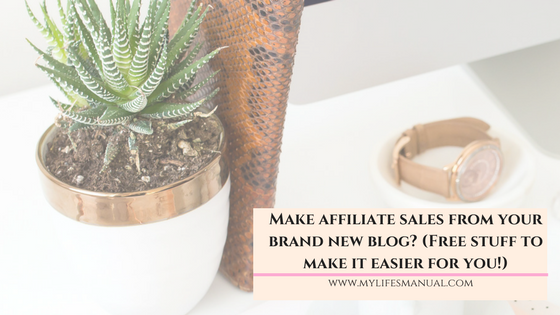 One of my blogging mistakes was, I focused on getting accepted from different Ad networks when I should have started making affiliate sales from the start. Pinterest is a great platform to share your affiliate products. Learn why you should start with affiliate marketing here. Download your FREE EBOOK HERE so you can already start making money off your blog with affiliate marketing. Okay, so you have signed up and got accepted into an affiliate program. Now, what's next? Download the free checklist that tells you how to share your affiliate links. This is a perfect guide if you are still confused and don't know how to get eyeballs to your affiliate products! Pinterest group boards is a lifesaver for bloggers and online entrepreneurs especially to those who have a small audience yet. Once you are accepted into Pinterest group boards, you can already share your content with the group board's members and followers. Your content will also get a chance to be shared and go viral on Pinterest. 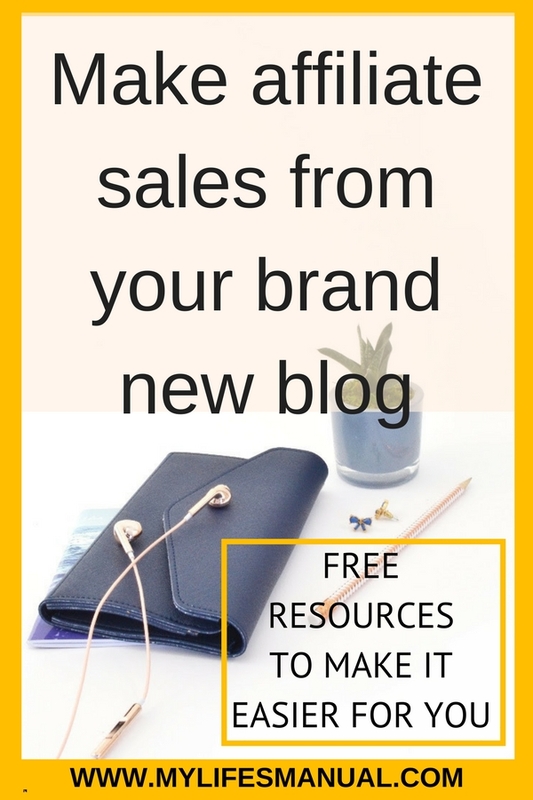 Are you struggling to get traffic to your blog post? The Free Blog traffic Guide has 3 simple ways that are guaranteed to increase views to your content. Bring people to your affiliate post following the 3 tips in this guide. Are you ready to make affiliate sales? Break your bad habits, set big goals, and slay them! Leave your comments below and share it on social media, please! Skyrocket your blog traffic from Pinterest. Is it possible with manual pinning? Who else wants to make affiliate sales? Try these steps. Thanks for sharing, making that first sale is the hardest and I know programs like Amazon that will kick you out if after a time you do not make any sale.These are really useful tips. Thanks for sharing! Super helpful and tons of info I needed! Thank you bunches! When my blog was fresh, I started as an amazon affiliate and now several years later it’s still my favorite way to make money with my blog! Fantastic tips. I'll have to look into those Pinterest group boards right away! Thank you for sharing! I love Amazon affiliates, and I've found them to be the most successful on my blog! These look like helpful resources - than you for compiling them! Very helpful. Sharing on Pinterest. This is a great resource for me, newbie blogger that I am. Thanks! Thank you so much for sharing all these! Just downloaded them all! Gosh it has been 7 years since I started blogging and I still haven't really got the whole affiliate thing, it is definitely something I need to try and work on this year thank you. Great tips! I agree that one shouldn't wait for the blog to be perfect to monetize it. The process takes time so it's best to start as soon as possible. We've been using affiliate sales for over 10 years. It isn't easy, and the rules change, but worth doing! You gotta love affiliate sales. These are going to help anyone! I have been needing this in a long time. I heard affiliate marketing is hard. I agree with another that the first sale is the hardest. And so nerve wrecking! These ebooks will help for sure. This is a great list of helpful blogging tips. Thanks for compiling them!